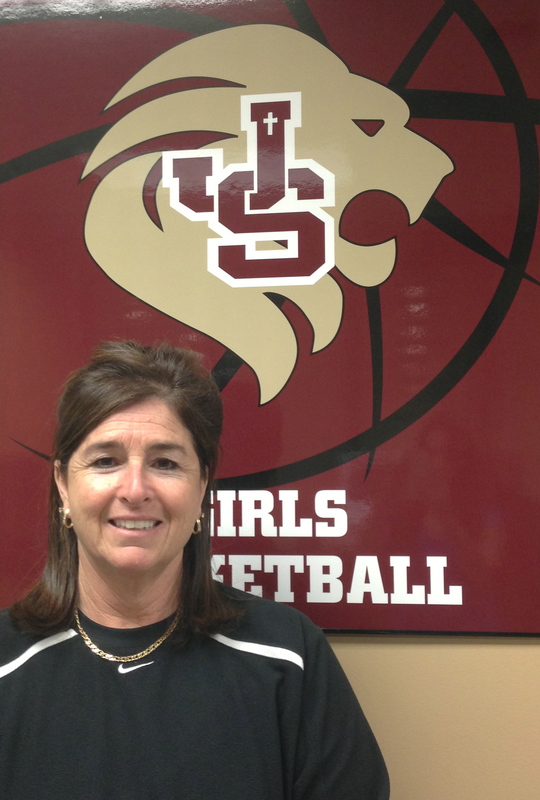 JSerra Catholic girls basketball Head Coach Mary Rossignol wins record 100th game. Early in the Annual Oaks Christian Christmas Hardwood Classic the Lady Lions 65-24 win against Newberry Park became Rossignol’s record 100th win with JSerra Catholic High School. During Rossignol’s six years at JSerra as head coach, the girls have progressed to become second in the Trinity League and fifth in Orange County. Jourdan Banks (’07) became the school’s first student-athlete to be accepted to an Ivy League university and became team captain of the University of Pennsylvania women’s basketball team. The highly ranked team also prides itself on giving back to the community regularly. The girls host the Junior Special Olympics on campus as well as visiting the Irvine Cottages Senior Living Center throughout the year. Be sure to save the date for the PAW Showcase, sponsored by Pacific Athletic Wear (PAW), Gatorade and Eastbay, coming to JSerra, February 2, 2013 showcasing girls top teams in Southern California. For more on the Lady Lions visit them on Facebook.